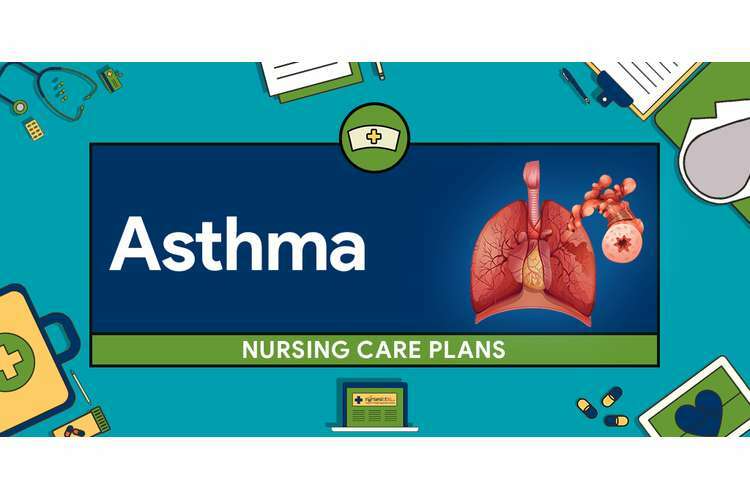 Acute severe asthma can be described as the acute exacerbation of asthma that does not treat with the standard treatments of corticosteroids and bronchodilators. These health issues account for more than 60000 hospital admissions each in the UK and nearly 250,000 deaths worldwide annually. Some of the risk factors associated with this disease include poorly controlled disease, improper medical management, and negative behaviors and social factors. This health problem characterized by a chronic inflammation of airways leads to wheeze, breathlessness, and cough. Acute asthma exacerbations are life-threatening (Sreenivas, Murthy, & Renuka, 2017). The people with any type of asthma are at risk of developing status asthmaticus. The clinical manifestation of the patient mentioned in the emergency department was severe dyspnoea, inability to speak the full sentence in a single breath, SpO2 90 %, respiratory rate of thirty-two breather per minute, pulse rate of 140 beats per minute, auscultation of the lungs. These manifestations are associated with the pathogenesis of acute severe asthma. The pathogenesis of this health condition includes some abnormal conditions like effect on airways, damage to epithelial, excessive secretion of mucus, edema, bronchospasm, and remodeling or the airways. The general process of the pathogenesis of acute severe asthmas includes the inflammation of asthma. In the acute exacerbation of asthma, the obstruction and inflammation of airways become worsen and potentially becomes life-threatening. The person died due to exacerbation of asthma, have been diagnosed with inflamed airways. This function of respiratory system instantly deteriorates and the lumen of airways occluded by the mucus plugging composed of the plasma proteins and glycoprotein. The walls of the airways are then become oedematous and are infiltrated with the inflammatory cells. The eosinophil cells, neutrophils, and mast cells contribute to epithelial damage, endothelial permeability, and extensive mucus plugging results in severe airway edema (Cook, & Saglani, 2016). The triggering factors such as genetic, environmental aspects are to initiate the health issues associated with acute severe asthma. Exposure to the allergens or other factors causes predisposition to the allergic hypersensitivity in airways. This first exposure results in the sensitization of helper t cells. The b cells are then stimulated to produce IgE, which further binds to the mast cell surface. The activated t helper cells and the IgE sensitized mast cells are then line the airways and cause. The second exposure of triggering factors cause health issues via two different ways: early response and delayed response. In the early response which occurs within o to 2 hours, the allergens cross-link the IgEs on the mast cells. These cells then secrete histamines, leukotriene sans other mediators of inflammation. This will further cause vasodilation & edema, goblet cells hyperplasia and contraction of bronchial soft muscles. The goblet cell hyperplasia leads to excessive secretion of mucus. These three above mentioned process leads to airway contraction and finally causing asthma. The other response f second exposure to trigger which is delayed response occurs after 4 to 12 hours. The activated helper t cells and mast cells secrets cytokine, and includes the maturation of granular WBCs such as eosinophil. The eosinophils are then migrated into the airways, eyes, and nose. The movement of eosinophil's into airways causes bronchioles contraction, release in eyes leads to conjunctivitis and if transferred to the nose, it may cause rhinitis and asthma are the end results of these reactions (Parulekar, Diamant, & Hanania, 2016). Diagnosis of acute severe asthma can be done by measurement of peak expiratory flow, chest x-ray, spirometry, and arterial blood gas analysis (Fergeson, Patel, & Lockey, 2017). Regular assessment and observation of the asthma patient are necessary to notice any life-threatening symptoms that can occur during the hospital stay. As discuses in the case study the patient has manifestations like severe dyspnoea, abnormal respiration rate, and pulse rate, increased blood pressure, and auscultation of the lungs, therefore patient assessment is important. The patient should be provided with supplemented oxygen to maintain the arterial oxygen saturation higher than 90 per cent. A nurse should observe the vital sign such as oxygen exchange, respiratory rate, BP, pulse rate, temperature and the patient's position on the bed (FitzGerald et al., 2016). Nurses should monitor and observe the patient provided with mechanical ventilation. This method is used to improve the oxygen exchange in the patient. The patients with asthma have worked hard for breathing by using abdominal muscles and the other muscle of the body. This work can be reduced with the help of managing the patient on mechanical ventilation. The strategies associated with ventilation include controlling volume nodes, low tidal volume to decrease the barotrauma, to achieve low I: E ratios. Mechanical ventilation of the patient with acute severe asthma is a difficult task to do. The status asthmaticus is characterized by the severe pulmonary hyper-inflammation because of marked limitation of expiratory flow. Therefore the main purpose of starting ventilator management is twofold to make sure that adequate gas exchange is being provided to the patient and to prevent future hyperinflation and ventilator related lung injury. This should be managed by the nurses (Fernandez, Gonzalez, Carrillo, Ortiz, & Granados, 2014). Salbutamol is the medicine which acts on beta2 – adreno-receptor present on the soft muscles enveloping the bronchi. It attaches on the noncovalently to the epinephrine’s actives site in the receptor in order to stabilize the receptor in its active site and help to decrease the abnormally increased heart rate. Tremor, anxiety, headache, dry mouth, palpitation, arrhythmia, flushing, tachycardia, muscle cramps, and disturbance of sleep and behavior (Inayat, Shah, Rahu, & Sahito, 2017). A nurse should observe the symptoms earlier as possible and report to the doctor. The prime actions of this drug are to stimulate the adenyl cyclase, which is the enzyme that can catalyze the formation of the cyclic three five monophosphate form ATP. They act on the receptors present on the smooth muscle relaxation. The side effects include pain, diarrhea, nausea, cramps, bronchitis, and pneumonia (Memon, Parkash, Khan, Gowa, & Bai, 2016). The nurses should assess and examine the previous history of allergies associated with the particular drug. In any adverse effects, they should prevent the administration of the medicine. This drug binds to the receptor called cytosolic glucocorticoid receptor. Hydrocortisone injections are used to cure the symptoms of a decreased level of corticosteroid level and to treat the severe allergic reaction. The receptor-ligand complex is then transferred to the nucleus and binds to the GRE (glucocorticoid response elements) in the promoter site of the target gene (Alangari, 2014). Adverse reactions of this drug are inhibition of the bone formation, delayed wound healing and suppression of calcium absorption. Other side effects include a headache, nausea, depression, anxiety, vomiting, dizziness, and increased sweating (Restrepo, Tate, Gardner, Wittnebel, Wettstein, & Khusid, 2015). When administrating these dug to the patient-nurse should carefully examine the history of allergies and drug interaction for the particular drug (Vallerand, 2018). 1. Alangari, A. A. (2014). Corticosteroids in the treatment of acute asthma. Annals of thoracic medicine, 9(4), 187. 2. Cook, J., & Saglani, S. (2016). Pathogenesis and prevention strategies of severe asthma exacerbations in children. Current opinion in pulmonary medicine, 22(1), 25-31. 3. Fergeson, J. E., Patel, S. S., & Lockey, R. F. (2017). Acute asthma, prognosis, and treatment. Journal of Allergy and Clinical Immunology, 139(2), 438-447. 4. Fernandez, L., Gonzalez, A., Carrillo, D. C., Ortiz, M. C., & Granados, M. (2014). A33 CLINICAL ASTHMA I: Characterization Of Patients With Severe Acute Asthma, Managed In The Intensive Care Unit In A University Hospital Reference In Latin America. American Journal of Respiratory and Critical Care Medicine, 189, 1. 5. FitzGerald, J. M., Bleecker, E. R., Nair, P., Korn, S., Ohta, K., Lommatzsch, M., & Gilmartin, G. (2016). Benralizumab, an anti-interleukin-5 receptor α monoclonal antibody, as add-on treatment for patients with severe, uncontrolled, eosinophilic asthma (CALIMA): a randomized, double-blind, placebo-controlled phase 3 trial. The Lancet, 388(10056), 2128-2141. 6. Horak, F., Doberer, D., Eber, E., Horak, E., Pohl, W., Riedler, J., & Studnicka, M. (2016). Diagnosis and management of asthma–Statement on the 2015 GINA Guidelines. Wiener Klinische Wochenschrift, 128(15-16), 541-554. 7. Inayat, N., Shah, R. H., Rahu, Q. A., & Sahito, R. (2017). Nebulized Salbutamol with and without Ipratropium Bromide in the treatment of acute Severe Asthma. Pakistan Journal of Chest Medicine, 22(3), 102-6. 8. Memon, B. N., Parkash, A., Khan, K. M. A., Gowa, M. A., & Bai, C. (2016). Response to nebulized salbutamol versus combination with ipratropium bromide in children with acute severe asthma. JPMA. The Journal of the Pakistan Medical Association, 66(3), 243-246. 10. Parulekar, A. D., Diamant, Z., & Hanania, N. A. (2016). Role of T2 inflammation biomarkers in severe asthma. Current opinion in pulmonary medicine, 22(1), 59-68. 11. Restrepo, R. D., Tate, A., Gardner, D. D., Wittnebel, L. D., Wettstein, R., & Khusid, F. (2015). Current approaches to the assessment and treatment of acute severe asthma. Indian Journal of Respiratory Care, 4(1), 521. 12. Sreenivas, S. K., Murthy, K. A., & Renuka, T. (2017). Predisposing factors and clinical profile of acute severe asthma. Indian Journal of Child Health, 4(4), 535-538. 13. Vallerand, A. H. (2018). Davis's drug guide for nurses (16th ed.). Philadelphia: FA Davis.